How to Get Past iPhone/iPad Passcode? 2 Ways You Shouldn't Miss Out! How to Get Past iPhone/iPad Passcode? 2 Ways You Shouldn’t Miss Out! Was your iPhone locked and you forgot the passcode? Was your iPhone disabled after wrong passcode trial for many times? Was your iPhone screen broken and you couldn't enter passcode? No worries, you can get past your iPhone or iPad passcode and get into iPhone as normal. 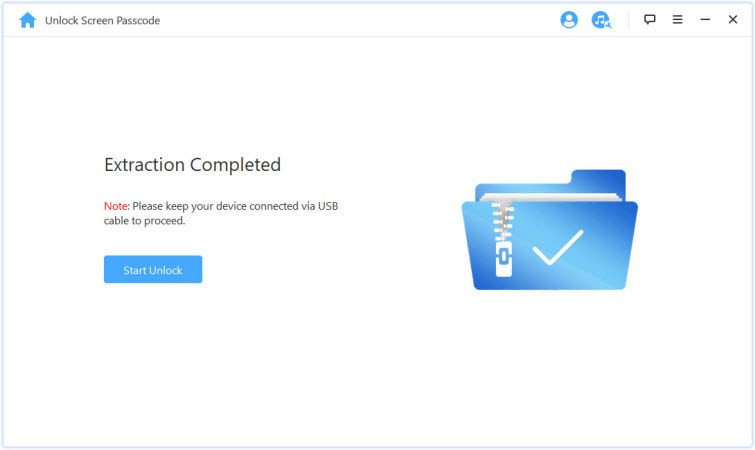 iMyFone LockWiper is one of the best softwares to remove iPad or iPhone passcode. 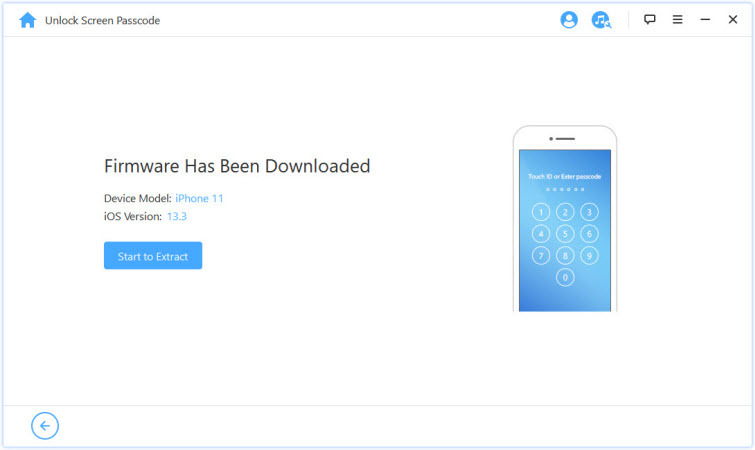 This iDevice unlocking tool is equipped with advanced features that will allow you to quickly gain control of your iPad. Compatible with all iDevices, not only does LockWiper remove the usual 4-6-digit passcode, but also bypass Touch ID and Face ID as well. 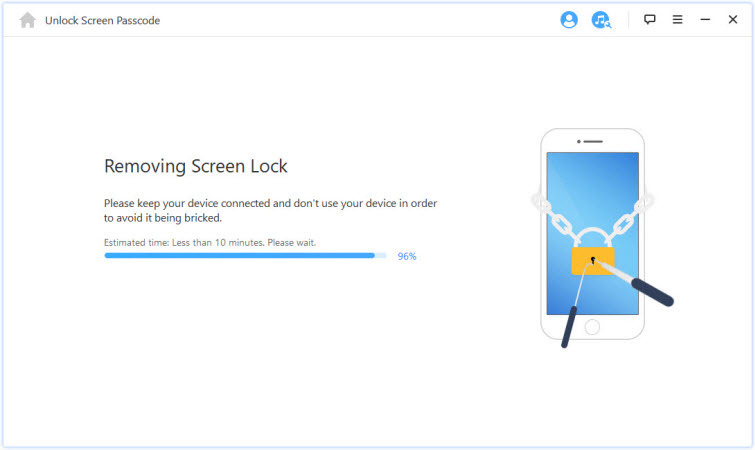 So, no matter which kind of lock you want to remove from your iPhone or iPad, LockWiper has got you covered. Remove iCloud account from any activated iOS device without password, allow you to switch to a new iCloud account. Quickly get past iPhone/iPad passcode without hassle. Remove the common lock screen whether it's 4/6-digit passcode, Touch ID or Face ID locked. Help you get into iPhone even when iPhone screen is broken or unresponsive. Step 1: Connect your iPhone or iPad via USB cable to your computer. Open iMyFone LockWiper and click "Start" and then "Next" to proceed. 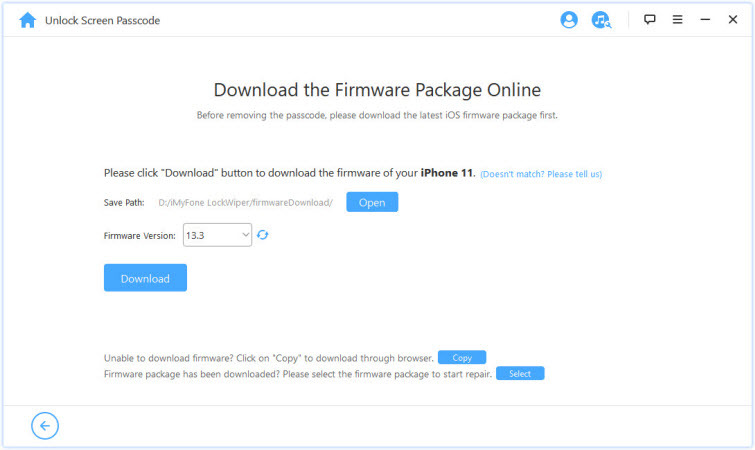 Step 2: Click "Download" and it will download and verify the firmware package for your iPhone. Step 3: When it's done, click "Start to Extract" to unzip the downloaded firmware. Step 4: Click "Start Unlock". Then you need to confirm to proceed. Step 5: Just enter "000000" into the box and click "Unlock" to get started. It will take a few minutes to finish. So please kindly wait for it. Another way to get past iPhone or iPad passcode is to use the iCloud’s device erasure feature. Keep in mind that this method will only work if you know the Apple ID and password that is being used in your locked iPad. Step 1: Visit icloud.com on your favorite web browser and log in your Apple ID with password. It should be the Apple ID account that your iPhone is linked to. Step 2: Then select "Find iPhone" from the options. Step 3: At the top menu, click "All Devices" and select your iPhone or iPad. Step 4: After selecting your device, you will see several options. From the list of options, find and click on "Erase iPhone". Step 4: Confirm your action and the remote reset process will start. After the reset, the passcode will be removed from your iPhone. Note: Your iPhone or iPad must be connected to internet so it can receive the remote erasure. If not, this way is not available for you. When you search online, some posts would claim that iPhone or iPad passcode can be gotten past by jailbreaking. But does it work? Actually, jailbreak iPhone is not an effective way to bypass iPhone passcode. If you want to jailbreak an iPhone or iPad, you need to have full access of your settings. It means you need to unlock your iPhone first. At this point, how can you get past your iPhone or iPad passcode by jailbreaking? It's impossible. Don't waste your time and energy to try the ineffective method. What's more, it's not suggested to jailbreak your iPhone because it will remove some serious restrictions from your device and change some key aspects of your device’s system software. There will be no issues if everything is done carefully. However, if you fail to follow the jailbreaking directions or something else goes wrong, then you can lose your iPad’s data and even brick the device. You should also keep in mind that jailbreaking voids the warranty. 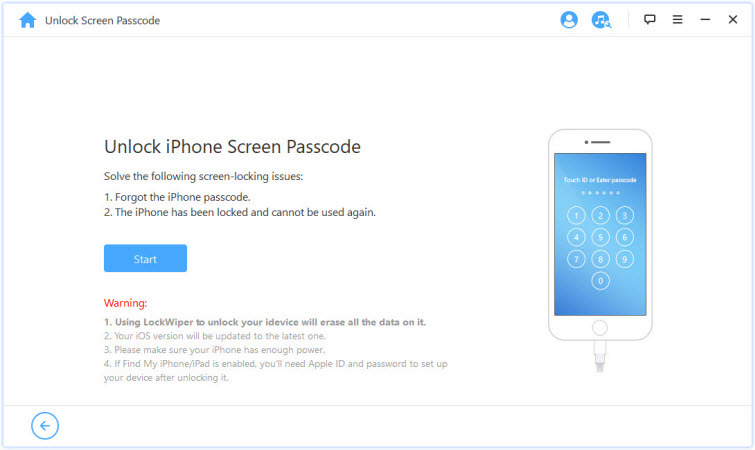 Therefore, to get past iPhone or iPad passcode, why not give it the easiest fix with iMyFone LockWiper.